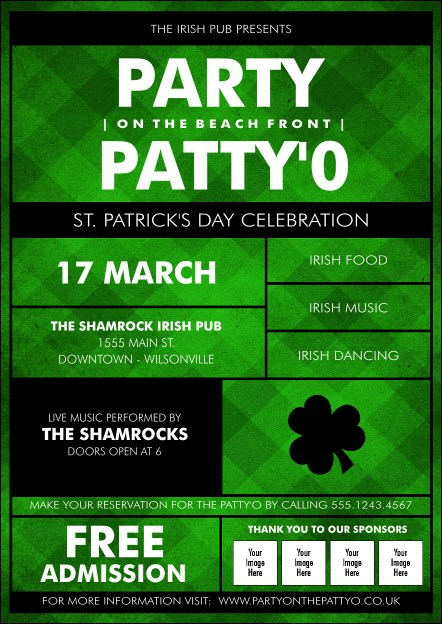 Riverdance your way to awesome pre-event promotions when you print St Patricks Day Plaid Postcards for your spring event. Prepare your guest list to paint the town green and send them personalized Postcards that feature a bright and beautiful green plaid background and room to upload four unique images. UK Ticket Printing helps you stay lucky.